Its been a pretty crazy week over in Scotland with the Independence Referendum taking up everyone's time and energy ... to add to that I have been working on the first CD release on my netlabel, weareallghosts. 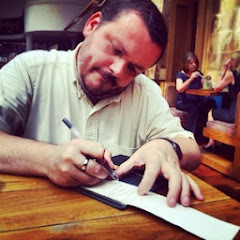 As such, it came as a welcome surprise to receive an email from Ryan Vanden Heuvel, the chap behind "Canopy". Whilst I am new to his music, I can honestly say his music arrived exactly when I needed it to arrive ... more on that later. Well I just released my second album, "The Healing Seasons" literally today so technically nothing at the moment, but if I could be working on something, it would be my third album. That is going to have to wait as I am still in the process of promoting my second release! That's a good question but not a hard one at all. Many people inspire me but to narrow it down a little I would say first and foremost my friends, family and immensely supportive girlfriend. I would not have been able to find the strength needed to deal with the many tribulations of being and independent musician if it weren't for all of them. For that I consider myself both blessed and humbled! Again there many who inspire me from various corners of the music universe but I have two in mind that have pushed me to continue writing music even if it isn't good. Andy Othling is top of the list. 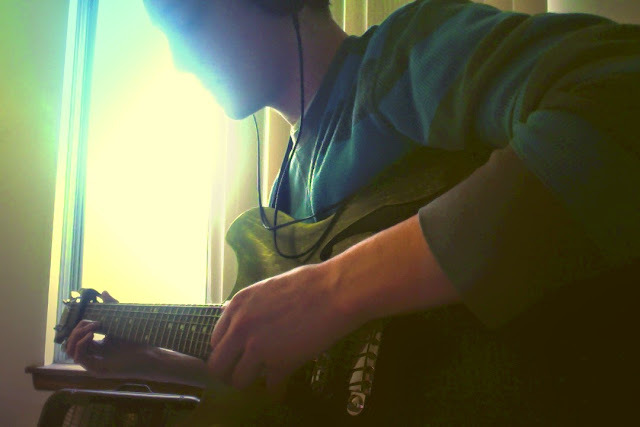 Andy is the brains behind the one man ambient instrumental project, "Lowercase Noises" and he did it all by himself... I found Lowercase Noises last year and was instantly blown away mostly because he started the same way myself and many other independent musicians do, with no one and nothing. Looking at his self driven success has inspired me to work hard and be open to learning something new every day. My second biggest motivator is Tycho. If you don't know who Tycho is, look him up, right now. That is all I have to say. I am particularly a fan of how he writes and produces his music, it is enchanting, beautiful and crisp all at the same time. I don't think he could ever make a record I would find to be bland or distasteful. I used to travel a lot with my family growing up so there are a number of places that come to mind. However the west coast stands out among the rest as the biggest influence. The western culture is one that I value, not to mention the vast amount of site seeing available. If I could choose a place to go to right now, some where along the grand canyon would work just fine! The world is a beautiful place if you look at it just right, we are very lucky. Life. Plain and simple, we only get one. There is beauty everywhere and in everything but not everyone will get the chance to see it, sadly. My vision of beauty lies within music and I don't ever take that for granted. Everybody dies but not everybody lives. The ability and need to create. Like my grandfather who I have dedicated this release to, I always need to be busy doing something. Creating, working on a project, perfecting something...It never ends but I love it. Creation serves as an outlet for me and a good one at that seeing as anything goes really. Absolute and total freedom to say and do what I want. There is no right or wrong way to make something, art is art is art I like to think. The best part about it is that literally anyone can do it! I encourage anyone with a creative spark to go out and make something, it feels wonderful! Community plays a huge role. Without ears to listen to my music, who would know about it? 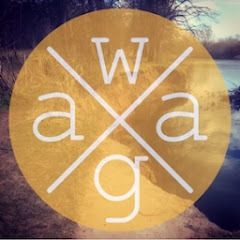 I write music for myself but also to connect with others who may enjoy it too. My end goal is to write music that I know how to write and share it with as many people as I can just because my heart for music is so big. I put little effort in caring for sales and money, ego boosting feedback or popularity. It really is, all about the music. Looking forward, in time I hope to start work on a visual album. Like I said before, art is art is art. Music, film, painting etc. are all kind of smudged together in my eyes and I would love to bring another dynamic to my music. Maybe I'll travel and film the world, who knows I just take things as they go. Thanks Ryan ... I'm a big fan of both Lowercase Noises and Tycho ... and can definitely hear their influence in your work. Thank you for sharing! Vibrant and head-noddingly engaging ... I found "The Healing Seasons" to be welcome relief from a tough week. 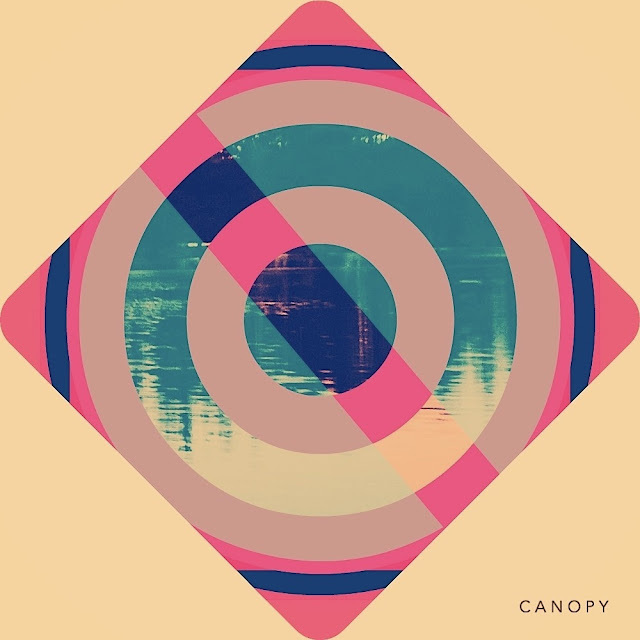 Canopy's sound is a wonderfully now version of electronica-inspired instrumental post-rock ... a unique version filled with electronic textures and expression ... so now, in fact, I could have easily been persuaded that this was the latest act from Ghostly International. It's not, unfortunately, but it could have been ... very easily. Taking cues from Tycho on the more upbeat pieces ... such as the closing track - "Later on" - with its pounding beat, synths and delayed guitar ... or "1988" with its upbeat electro vibe ... the music presented here is a ray of sunshine on a grey day. Canopy can play the guitar. This is evidenced on "Daybreak" with a guitar run that simply overtook me and had me air-guitaring in rather awkward places. He also knows his way around synths too and knows how to incorporate field recordings and vocal samples in a way that adds to the overall feel of the track ... the third track - "tray" - with its ocean waves and 'scientific lecture' vocal sample is a prime example of this. I was very impressed with "The Healing Seasons" by Canopy and would highly recommend it, especially for folks who love upbeat, engaging electronica-influenced post-rock.